For busy girls on the go it is not ideal to be carrying around a giant makeup bag full of things so we need to be smart about what we do have with us in our handbags; introducing multi-tasking beauty products. Whether it be when I am travelling or just wanting to conserve some space in my everyday makeup bag, I love using products that have more than just one use. 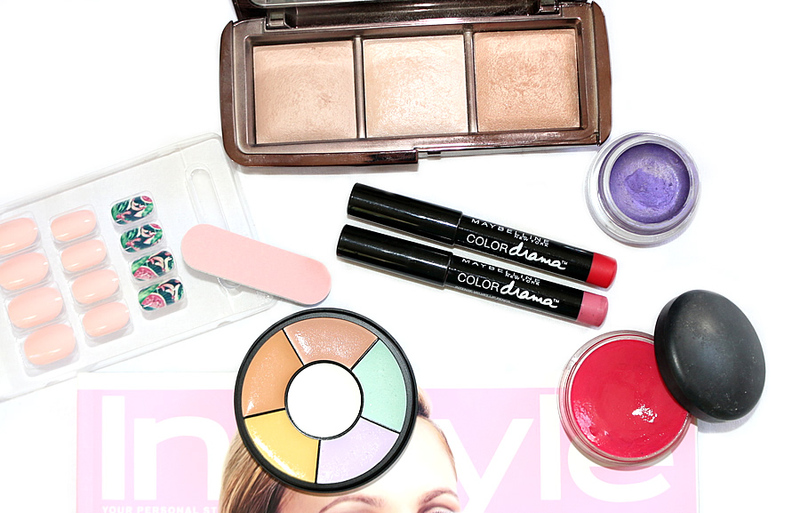 In this feature we are discussing six multi-tasking beauty products that are great. When I first purchased this product I thought that it was going to be repetitive, where the three colours would be so similar that they wouldn't all come in use. I could not have been more wrong because these three colours make for the perfect setting, bronzing and highlighting kit all in the one sleek package. I can set my foundation, bronze up my look and apply a cheekbone highlight using just this one product. Definitely a great investment of money and amazing conservation of space within the makeup bag rather than having three products. These lip pencils have an extremely precise application that way you can carry around this small tube of lip product rather than a chunky lipstick and lip pencil. Don't have time to get acrylics and to paint your nails? Simply slap on the adhesive and apply these fake nails for length and pre-applied designs. It will look like you spent hours in the salon when it really only took you 10 minutes to apply these and didn't have to wait for any nail polish to dry. This product doesn't only act as a lip balm but also contains SPF to protect the lips and adds a tint of colour. Making it a multi-use purse essential that definitely comes in handy. If you are feeling game enough and have dry skin then this would even work as a sheer blush tint. I love how versatile this concealer palette is because it includes so many handy shades for colour correction, concealing blemishes, hiding undereye circles and providing foundation converage. The sleek packaging makes it great for conserving space while travelling. Lastly we have the Maybelline Color Tattoos that act as both a base for eyeshadow and a simple way of adding some colour onto the lids. These can work to enhance eyeshadow shades or be the actual eyeshadow shade, making them a great 2-in-1 product. Those are my picks but there are some incredible multi-use products out on the market, another personal favourite being the cult classic Benetint.